I am trying to figure out the art of Richard Diebenkorn. I enjoy looking at his paintings in the books I took out of the library. Many of them consist of geometric patches of paint, some with diagonal lines, others with thin lines reminiscent of roads on a map. My understanding is that Diebenkorn’s major paintings began with an abstracts followed by figurative works and culminating again with abstract works. I really would like to know the thinking behind his abstract, planar work. Did he have a scene in mind when he painted his planar patches? Were they an abstract of something he saw? Were they mathematical constructs? Much more reading is in order, to get to the bottom of Diebenkorn’s process. 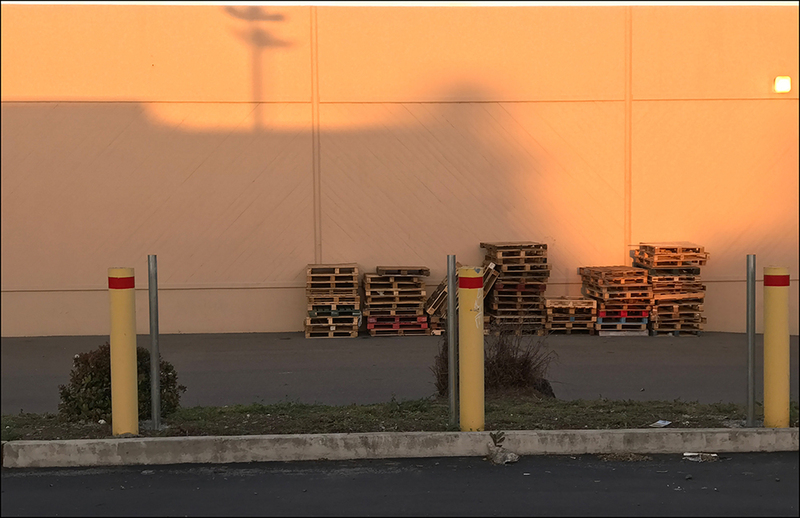 The other day I took a picture of a shadow on a sun-drenched wall. Perhaps my fascination with Diebenkorn moved me to attempt to abstract the shadows into a planar construct. My composition isn’t that far removed from the original photograph. Perhaps another iteration is in order. 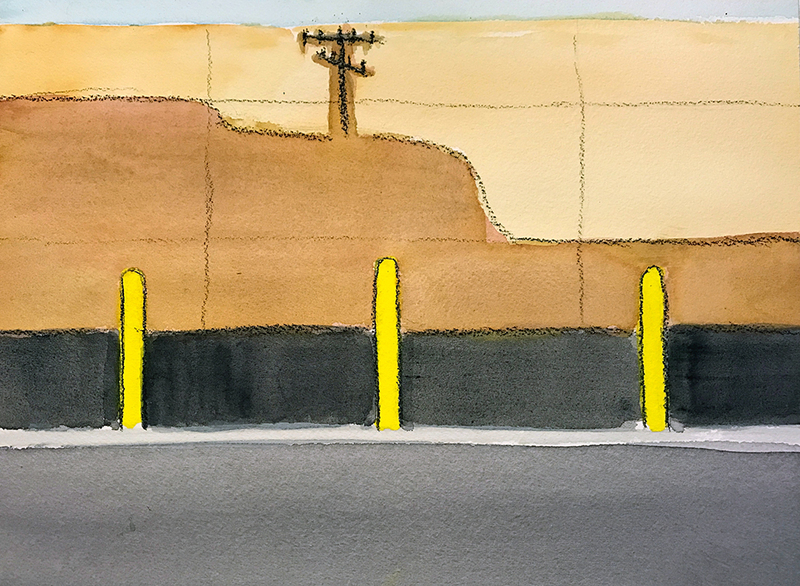 This entry was posted in Personal Stories and tagged abstract art, abstraction, artistic process, creative process, creativity, photography, planar elements, Richard Diebenkorn, visual arts, watercolor. Bookmark the permalink. That’s a good one, Jack.